Experience some of our favorite Provincetown Cape Cod Restaurants! The Red Inn: Dining at The Red Inn is an experience you will not want to miss. Enjoy a delicious meal with an ever changing view of Provincetown Harbor. Very romantic. Please call for reservations. Mews Restaurant: Beach front fine dining plus a more casual mahogany clad waterfront cafe. New England’s largest selection of vodka’s(over 170). Sunday brunch May-Oct. Intercontinental cuisine. Fanizzi’s by the Sea: On the East End in a picturesque, sea-weathered house – spectacular views of Cape Cod Bay, windows line the room and the salt sprays only feet from your table. Big portions. Reasonable prices. Great drinks. And an all you can eat Sunday brunch! Our favorite hideaway. Lobster Pot: A Provincetown Tradition to those visiting the Outer Cape. Our two WATERFRONT dining rooms provide the harbor view while our full menu, served all day starting at 11:30 am, offers the finest & freshest in seafood. Bubula’s By The Bay: Bubbala’s is a buzzing bistro at the beginning of the West End. Bubala’s has become a local institution serving fantastic food in a fun atmosphere. Check out our streetside patio. Parking available! Ross’ Grill: Above sea level on the second floor of the new Whalers Wharf. An American grill and wine bar. Lunch from 11:30 to 4PM. Sunday at noon, dinner starts 5:30PM. Closed Tues. and Wed. off season. Bistro at Crowne Pointe: The Bistro will capture you with its exquisite gourmet cuisine. The finest menu creations from talented chefs, carefully selected labels from an extensive wine cellar, excellent service in a charming setting are all waiting for you to indulge. Far Land Provisions: Year-round grocery, deli, bakery, specializing in fresh prepared foods, butchered meats, fresh produce, beer and wine. Professional catering available – intimate to large gatherings. Bayside Betsy’s: Casual Fine waterfront dining. American/Seafood/Continental Menu’s. Weekly lunch & dinner specials. Superb Cocktails at Mixer’s. Zagat’s Rated. Best of Cape Cod Awards. Angel Foods: The best deli and prepared meals! Groceries, beer, wine – all the gourmet essentials. A nice walk into the East End across from the Provincetown Art Association and Museum. Spiritus Pizza: The place for late night pizza and people watching especially after hours. Fun Fun Fun! Squealing Pig: Some of the best burgers in town and by far the best selection of beers. Try the Tuscan Fries with the Hog Burger – not low cal, but great pub food and wonderful old time atmosphere! Twisted Sister Pizza: Can’t decide pizza or ice cream? They have both! The buffalo chicken pizza is great among other specialties! Enzo Restaurant Guest House & Grotto Bar: Located in the thriving west of Provincetown, our beautifully restored Victorian is perfect for a night out or a night away.Stay in one of our luxuriously appointed guest rooms or enjoy fine dining in our restaurant. Relish: West end bakery and sandwich shop, perfect stop on the way to the beach, offering take-out breakfast, lunch, and options for dinner. Baked items include: pies, cakes, cookies, and our famous cupcakes. Napi’s Restaurant: Provincetown’s most unusual restaurant, serving the finest local seafoods, international dishes and vegetarian cuisine. Air-conditdioned and smoke-free dining. Free parking available. After a failed attempt to make it to Provincetown the last time I visited Boston – we missed the ferry by three minutes and ended up whale watching instead, which despite being educational, is not something that not necessarily bears repeating, I was determined to visit this renowned gay enclave on my next visit. That said visit coincided with Easter and seemed the perfect time to experience one of the most famous gay destinations in New England. Situated on the tip of Cape Cod and home to one of the most Bohemian, laid back lesbian and gay communities in the States Provincetown, or P-Town as it’s known locally, should be in the top ten places that any self-respecting gay man or lesbian should experience. I’ve been to all the usual gay destinations, but it has to be said that there is nowhere that exudes such a unique charm or utter sense of belonging as this small town. Walking down the main street, and there is only one – Commercial Street, is like entering a different world. Initially it jolts the senses as all the men are holding hands together as are the women. Once you become accustomed to the queerness of it all seeing the odd stray straight couple gripping hold of each other for dear life seems out of place. We were there before P-Town really starts rocking, which is from the end of May til early October, when thousands of queens descend on this gay Mecca for their summer vacation, but that didn’t stop us from squeezing every last ounce of enjoyment from what was on offer. If you are planning a visit, especially at peak times, then you must sort out your accommodation well in advance as the nineteenth century character of the place has been preserved so, thankfully, there are no high-rise hotels disfiguring the landscape. What’s available instead is a wide choice of guest houses, offering a personal touch that evades even the most client focused hotels. We were fortunate enough to stay in the oldest guest house there – The Revere. Renovated to a standard of luxury and comfort that would shame many a five-star hotel, this property boasts eight rooms – all of which have been lovingly restored to their original splendour by owner Gary Palochko. No two rooms are the same ensuring that each has its own unique ambience and is equipped with a state of the art entertainment system. Gary has managed to achieve the impossible with the Revere – 21st century luxury in a 19th century building of unsurpassable elegance. Not only are the rooms breathtaking but there’s the added bonus of an outside courtyard complete with hot tub. How the summer nights must fly by! Not surprisingly The Revere is hugely popular, with rooms being particularly hard to come by during peak season, so if you are planning a trip to P-Town this summer you need to book now. Numerous bars, clubs and restaurants nestle side by side on Commercial Street, jostling for attention and as we were only there for one night it would have been impossible to experience everything that P-Town has to offer. Choosing one of the many restaurants in which to dine was no easy task but the general consensus of our Bostonian friends was that, with such a limited time, we should book a table at The Mews (429 Commercial Street). Offering a gastronomic experience over two floors we chose to eat in the downstairs restaurant rather than the more informal bistro upstairs. Right decision – the food was exemplary, the service impeccable. We then weighed up the pros and cons of popping into the A-house (4-6 Masonic Place) for a night-cap. Despite feeling wrecked from the previous night’s excesses we decided to give it a go. Initially, with its décor that screams Captain Birdseye, we exchanged knowing glances that indicated our intention to stay for a swiftie then make for the exit. However we ended up staying til late as it seemed that every gay in the village had descended on this huge gay club to dance the Saturday night away. With three bars, an outside area and a dancefloor you don’t need to be a genius to see why the A House remains such a popular haunt. And after several vodkas the maritime theme became more appealing…funny that! Before we said our farewells to P-Town the next morning, there was just enough time to have a browse round the many gift shops where you can pick up a whole range of ‘gorgeous things’ that you would be hard pushed to find over here. We are delighted to announce our partnership with the Jonathan Williams Salon and Spa located in the center of Provincetown at 139A Bradford Street. 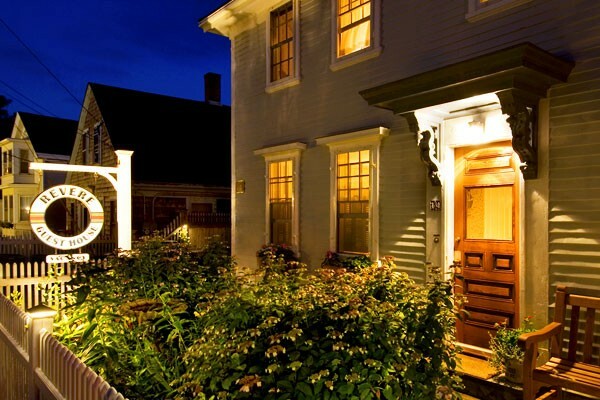 Mention you are staying at the Revere House and receive a 10% discount! Besides full spa services, the salon offers a range of hair styling services including color and highlights, treatments to revitalize your hair for ultimate health and maximum sheen, waxing, and make-up consultations. Cape Cod’s popularity as a second-home destination is not exactly recent: President Grover Cleveland had a summer house in Bourne more than a century ago, and the Kennedy clan has long vacationed at its famous compound in Hyannis Port. The Cape is a 400-square-mile peninsula, separated from the mainland by the 17-mile-long Cape Cod Canal. Lined with 115 beaches and famed for antique shopping and cranberry bogs, the area also has an enormous tourist infrastructure of restaurants, water sports and 41 golf courses — not to mention nearly 50 miles of bike paths. Much of the land is protected, including Cape Cod National Seashore. 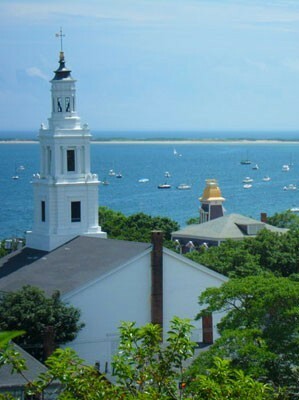 The islands of Nantucket and Martha’s Vineyard are just offshore, linked by ferries. The Cape also enjoys a Gulf Stream microclimate that makes it warmer than the rest of New England. Beach season stretches from early spring to late fall. Indian summer regularly lasts into November. •Mid-Cape. The main attraction is Hyannis, epicenter of ferry service to Martha’s Vineyard and Nantucket. Median prices in the lively village just dipped below $250,000. From Hyannis, the Mid-Cape extends to Chatham, at the “elbow,” where a new energy-efficient condo project, The Cove Ridgedale, has prices from $685,000 to $710,000. New Seabury, an exclusive second-home golf community, is the priciest spot on the Mid-Cape, with condos from the high $200,000s and houses from the mid $400,000s to nearly $4 million. •Outer Cape. Scarce, less-developed land means higher prices. Orleans, Truro and Provincetown, the northernmost point on the Cape’s “fist,” are the most expensive towns on the peninsula, all with median house prices around $600,000. Posted in Cape Cod, Revere House News | Comments Off on Life on Vacation: Cape Cod is unique, famous and surprisingly affordable.